We provide consultation on consumer products and industrial systems design. We specialize in developing new software for mechanical engineering applications. 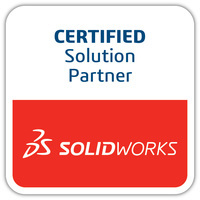 We are experts in SOLIDWORKS API development. Our experiences in additive manufacturing allow us to offer additive manufacturing advice and solutions development. Graderworks helps educational institutions quickly and efficiently grade SOLIDWORKS Files.